I wasn’t familiar with Sierra Li Xin Rui this name before, until at the beginning of this year, suddenly I spotted her on three dramas which airing/aired at same time. As additional she played female lead also co-starred Dylan Xiong Zi Qi and Jiang Chao, current raising star. 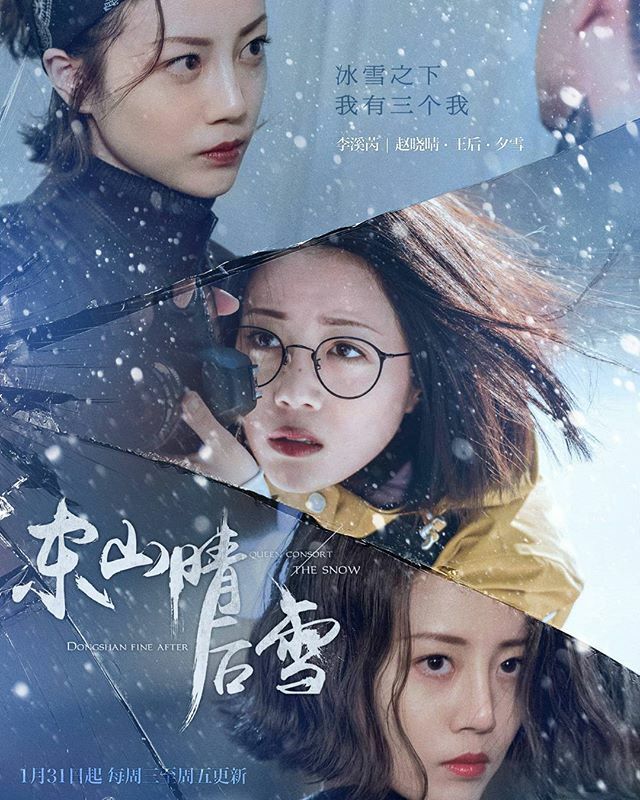 As I could recall, first time I watched her was in Pretty Li Hui Zhen (starring Dilireba, Vinn Zhang and Peter Sheng). Be honest, I didn’t pay attention to her acting because my main purpose only to see Dilireba and Vinn Zhang. This is one of drama which giving me kind of hate and love emotions at same time. No matter from its story plot, the actors and actresses and even the songs. I had been anticipating this drama since the first time they put the promotional poster. I was lured because Dylan Xiong played as the male lead, I was tricking with the hype of its novel (yes, this is another novel adaptation drama wrote by Ye Fei Ye), the novel even adapted in Manhua (comic) and animation. 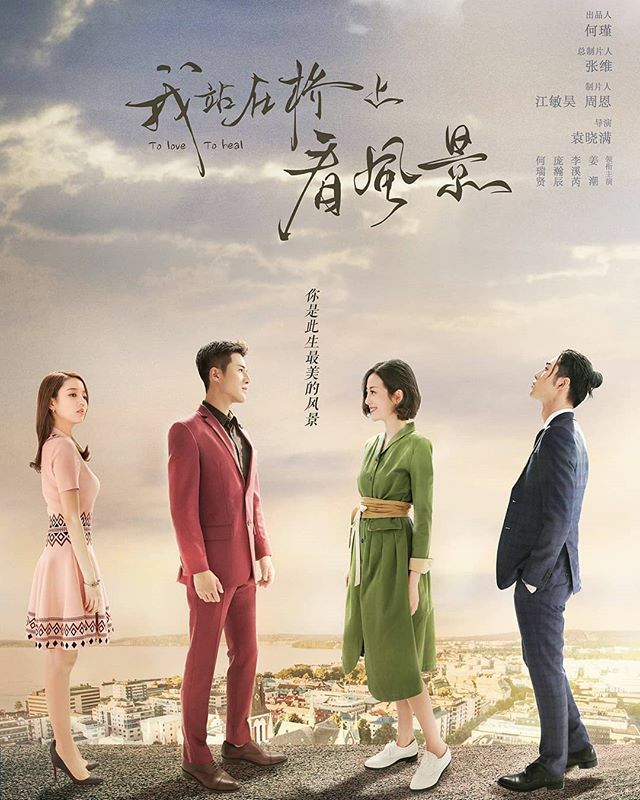 Synopsis: Qiao An Hao (Sierra Li) and Lu Jin Nian (Dylan Xiong) had secretly longed for each other for thirteen years, and now that there’s a possibility for them to be together, even though the circumstances may be unconventional, neither one can refuse their inner desires any longer. Hurled into a false marriage, Qiao An Hao treads carefully towards the cold and reclusive Lu Jin Nian, but after years of near-missed opportunities and deep misunderstandings, how could their last shot at love possibly run smooth? My opinion: to be honest no matter how I like Dylan Xiong, how biased I could be, I couldn’t hide my disappointment toward this drama. Although I have endured to finish it by skimming and skipping many scenes, and I still not understand the plot plus suddenly I felt Dylan and Sierra Li acting were looked so bleak. Also the story seemed not yet finished but it just ended in the middle. As if the drama only filmed from the first up to the middle of the novel because until now, I still wondering, what is happened to Lu Jin Nian and also Qiao An Hao? Do they still together or they go separately? If I didn’t check To Love To Heal at same time with National’s Husband perhaps I would be so discouraged to watch because Sierra Li acting in National’s Husband actually was so disappointing. Glad, I didn’t. My opinion: This drama is better than National’s Husband and Sierra Li acting just totally different, although I can’t say she has acted to her best but at least from story plot, acting and filming, To Love To Heal way better compare to National’s Husband. In this drama, Jiang Chao played better comparing when he played in The Fox’s Summer with Seven Tang. PS: To Love To Heal just completed last week. So here is the third drama Sierra Li played as lead female. If I can say Dong Shan Fine After Queen Consort The Snow perhaps is female version of Kill Me Heal Me played by Ji Sung (Korean version) and Zhang Yi Shan. Synopsis (wiki): A story between a bright and sunny public relations officer who meets a ski instructor and the complications that arise in relation to finding long-lost family and revenge. Han Dong Shan (Liu Dong Qin) is a new instructor at the resort. He is cold and hard to get close to as he never makes any mention of his past. 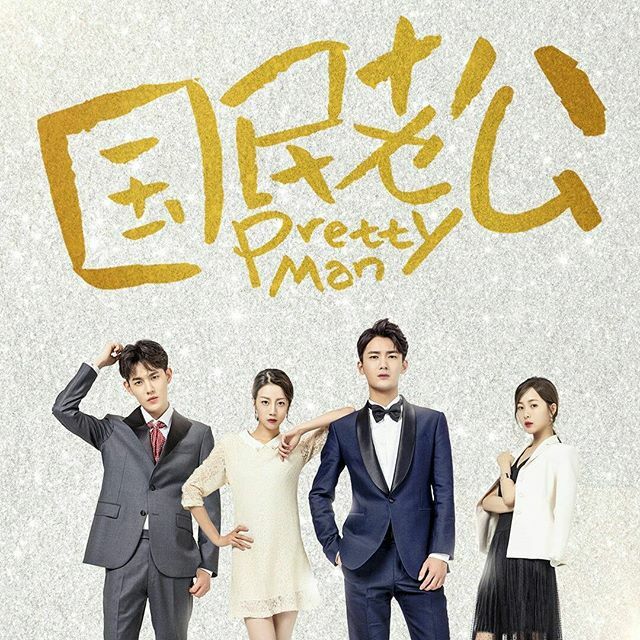 Yet he finds himself opening up to Zhao Xiao Qing (Sierra Li), a public relationship officer catering to VIP clients who also works at the resort. Dong Shan discovers that she has a psychological problem that she refuses to admit. Xiao Qing also has another suitor, a tall, rich and handsome doctor who is the nephew of a large conglomerate. My opinion: From all the three dramas, I like Dong Shan Fine After Queen Consort The Snow most. No matter the story plot, the flow, the actors and actresses and the snowy scenes. In this drama I can see that Sierra Li tried to challenge her acting skill because as Shao Qing she has multiple characters which little bit difficult because she should act as Shao Qing, Xi Xue, Wang Hou and even Qin Hou Xue, another character that revealed at the last episode. Sierra Li acting is watchable and yet, I think she should pay attention to every character she played, at least be detailed. Or perhaps she should careful when pick her role. As audience, when I watched these three dramas, many things popping out from my mind, for example, when I watched National’s Husband, I couldn’t help myself to sigh Sierra Li acted as Qiao An Hao because her acting looked so awkward. While Dylan Xiong also looked so ‘stiff-plant’ although in his interviews, he said that Lu Ji Nian character is focused on facial expression, somewhat it turned be weird for me. I agree this actress needs time to hone her skills.